DockATot believes that every baby needs and deserves to be surrounded in a comfortable and snug environment every day of their lives. This product is a multi-functional lounging, playing, chilling, resting and snuggling dock you can take anywhere. With Big Apple Buddy’s personal shopping service, you can now buy direct from the DockATot online store anytime, anywhere. The DockATot Deluxe+ Dock - Mod Pod is the ultimate docking station for your baby ages 0-8 months old. Multifunctional and multitasking, the Dockatot Deluxe+ offers a safe and comfy spot for your baby to rest, lounge, play, and get diaper changes. Deluxe docks are lightweight and portable, allowing for easy travel. Additional covers are available for purchase. 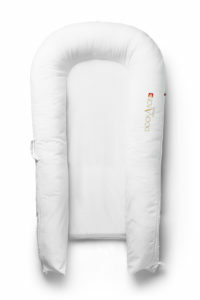 DockATot Grand Dock - Pristine White is a multitasking stage 2 dock for babies age 9 – 36 months. The Grand is perfect for cuddling, playing, lounging, and resting. 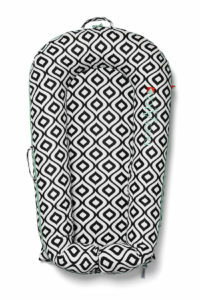 It’s ideal for travel and for bed transitioning, thanks to built-in, air permeable bumpers that act as bed rails. DockATot docks give little ones a snug sense of security in a bigger bed. All materials used are breathable, washable and hypoallergenic. 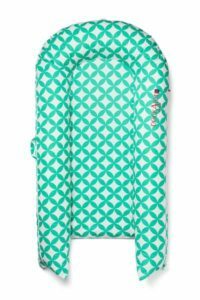 DockATot Emerald Isle Cover for Grand Dock adds a brilliant pop of color to any neutrally styled room. The vibrant green shade looks amazing against other bright hues and also comes in a range of different covers to suit your style and decor. Unfortunately, the USA DockATot online store does not currently offer international shipping. However, Big Apple Buddy, your personal shopper, can help you buy products direct from the official USA DockATot online store and ship them to your doorstep, no matter where you are in the world. If you would like to buy from the USA DockATot online store, simply let us know which items you would like to order (by filling out the form below) and we’ll get back to you with a free international shipping quote within 24 hours!